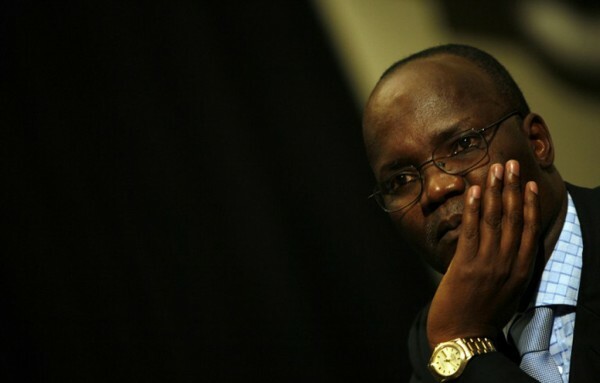 Former Information Minister Professor Jonathan Moyo said he was shocked that Zimbabwe had a "Stop List" which was being used by the Registrar General to refuse to issue passports to Zimbabwean citizens. Journalist Violet Gonda, who used to work for SW Radio Africa in London, discovered the existence of the list after applying for a three-day passport in Harare, only to be turned down after her application was marked "S/L". Upon enquiring what S/L means, she was advised that it meant "Stop List" as her name had been red-flagged since 2002. Gonda told ZimLive.com that she had received unsolicited explanations from some government officials who suggested Prof Moyo – now exiled after a military coup that ousted former President Robert Mugabe last November – may have been behind her entry on the blacklist. But Prof Moyo said he was hearing about the list for the first time. "I don't even know what a ‘Stop List' is or means. To stop who, from what and why? I had no idea when I was in government in 2002 who kept such a list and for what purposes, let alone that such a list existed. There's no way I could have done, or contributed to something I did not know existed," the former minister said. Gonda, who had been charged $253 for the three-day passport, has approached the High Court suing Registrar General Tobaiwa Mudede and the Home Affairs Minister over the decision. Prof Moyo said from his experience in government, "people who can cause problems and not be accountable to anyone is the Central Intelligence Organisation", adding: "But they will never disclose that. They won't come to court and say we did it." He explained that the Registrar General falls under the Ministry of Home Affairs which makes it a "security department and falls under Joint Operations Command". "The Minister of Home Affairs in 2002, to whom Mudede reported, was the late John Nkomo. If there was ‘Stop List' of the kind being referred to, then it was illegal and unconstitutional. It shouldn't have existed, if it did." In her High Court application, Gonda – who was born at Sakubva General Hospital in Mutare – attached a news report published by the state-run Herald newspaper from November 2002 which said Zimbabwe had "imposed retaliatory sanctions against Britain." Zimbabwe would ban 23 members of the British Cabinet from travelling to the country including Tony Blair, freeze assets of certain British establishment officials and for the first time British nationals would require visas before being allowed entry into Zimbabwe. "Nine workers of two radio stations SW Radio Africa and Voice of the People, which have been broadcasting propaganda against Zimbabwe, have also been slapped with travel restrictions," the report said, crediting a "government statement". "Among the nine are Zimbabweans and former ZBC radio and television personalities John Matinde, Gerry Jackson, Georgina Godwin, Simon Parkinson, Mandisa Mundawarara, Violet Gonda and Tererai Karimakwenda who are all with SW Radio Africa." Prof Moyo said although he was Information Minister at the time, he had not issued the statement, suggesting it either came from Foreign Affairs or some security arm of the state. Gonda, who left Zimbabwe in 2000 to pursue studies in Britain, says in an affidavit filed with the High Court that "despite the drastic nature of the purported ban, I did not receive any official communication confirming the ban or that my citizenship had been revoked." After her Zimbabwean passport expired, she says she managed to obtain a British passport which she has been using for her travels. She returned to Zimbabwe on December 26, 2017, after she learnt that there had been a "military intervention in Zimbabwe which resulted in the resignation of the former President Robert Mugabe… which meant that there was a change in the regime and there was an opportunity for me to return to my country of birth and origin." She was unconditionally allowed entry into Zimbabwe, she says, and was "taken aback" and "baffled" to be "informed that my name was on the ‘Stop List' and the Registrar General was prohibited from issuing me with a passport or any form of identification which a Zimbabwean citizen is entitled to." Prof Moyo joked on Twitter that if Mudede was under some misconception that it was his directive that the journalist must be placed on the ‘Stop List', "I hereby order Mudede to issue Violet with a passport forthwith… If Mudede defies my order to issue the passport forthwith there will be dire consequences…"
And he told ZimLive.com the existence of the list and its continued implementation by Emmerson Mnangagwa's new regime was "indefensible". "It is shocking and scary that there are still people in 2018 who shamelessly hide behind preposterous fingers to defend the indefensible. It would take a nincompoop to believe that a rational government which is alive to its constitutional obligations would deny a citizen the right to a passport because that citizen was allegedly blacklisted by Jonathan Moyo." The Home Affairs Minister and Registrar General have 10 days to respond to the application filed on August 27. Journalist and political analyst Chofamba Sithole said not only should the Zimbabwe government issue Gonda a passport without delay, but they should also disclose in the public interest who-else is on the "Stop List", and why they are there. "The government should disclose who is on their illegal Rhodesian-style ‘prohibited immigrant' list and why they blacklisted those citizens in the first place. Emmerson Mnangagwa, if this is a new dispensation then we expect transparency and the rule of law from you," Sithole said on Twitter. Human rights lawyer Brian Kagoro wondered: "Is this arbitrariness mere overreach or criminal abuse of office?"